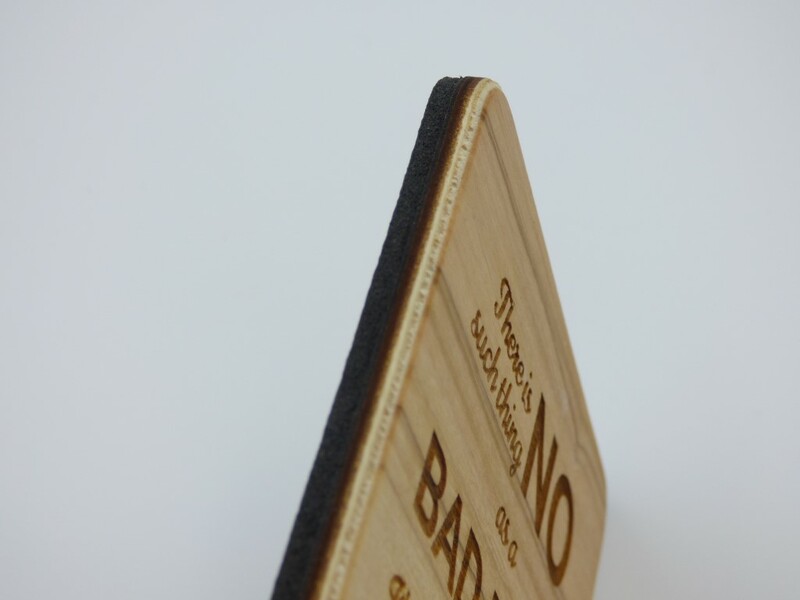 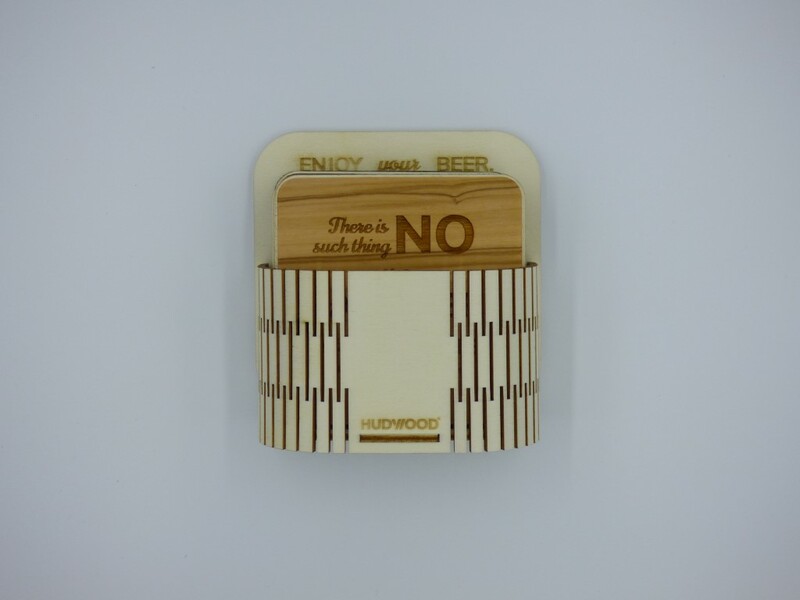 To enjoy your beer to the fullest, you can put it on our unique wooden coasters made out of custom made plywood. 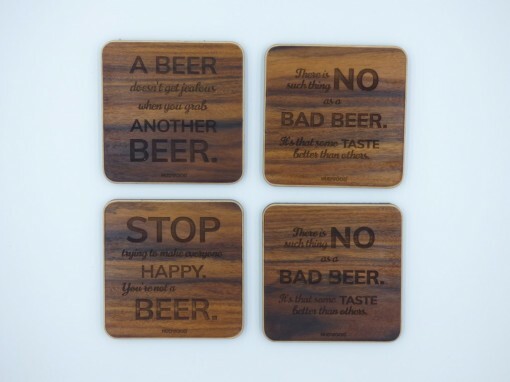 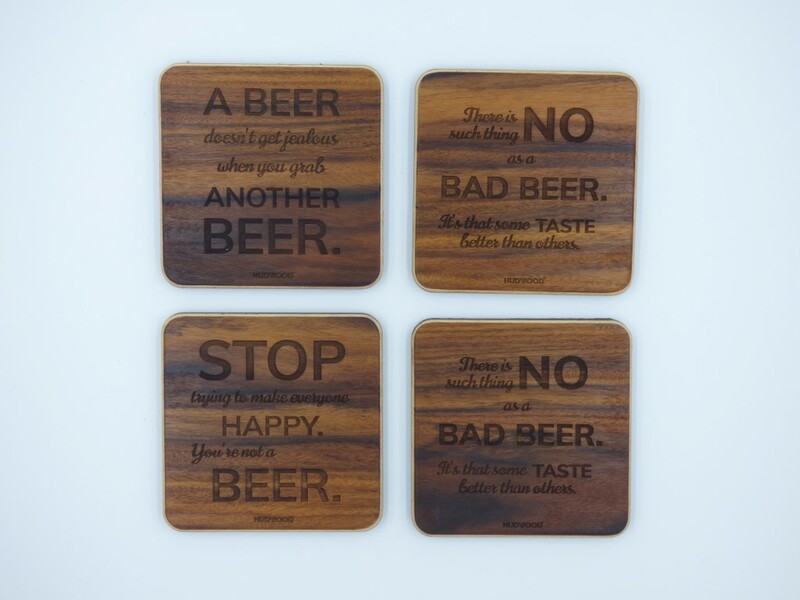 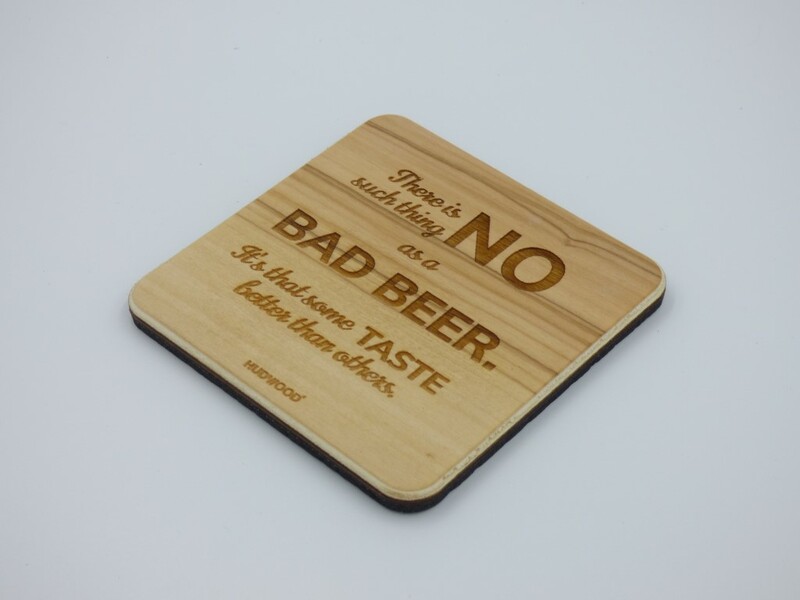 BEER COASTERS with funny beer quotes. 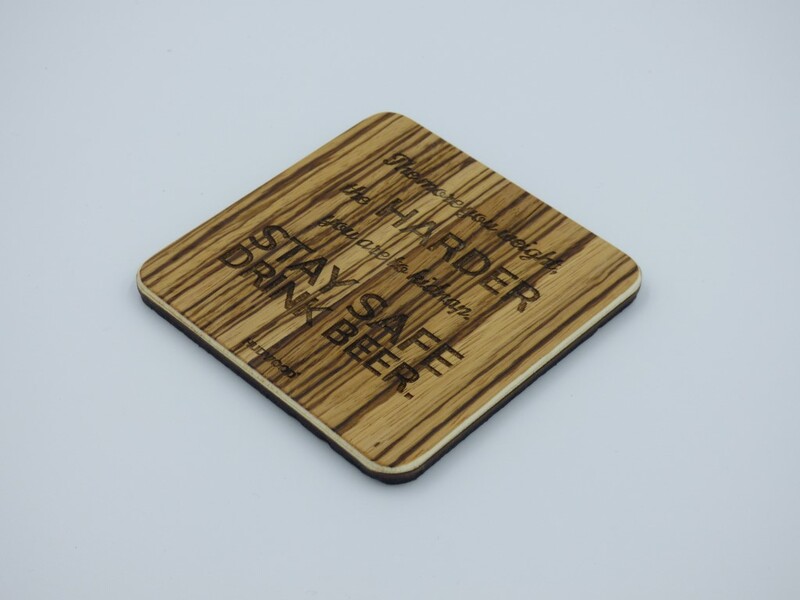 Coasters have a foam under the surface for a silent drops. 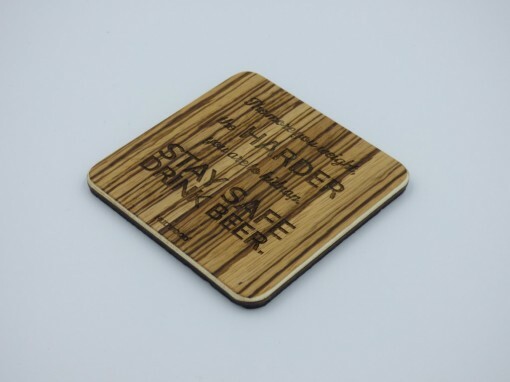 Coasters are protected with protective paint to last for a long time. 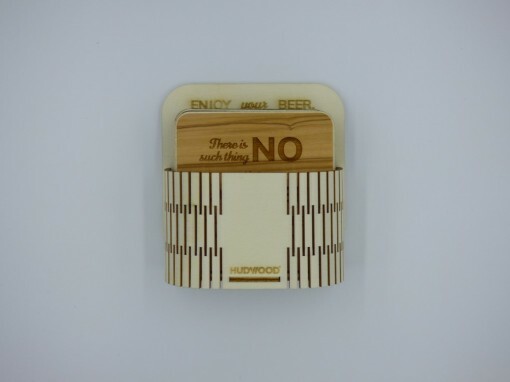 Packed in a nice practical magnetic holder, which you can put on your fridge or any other metal surface. 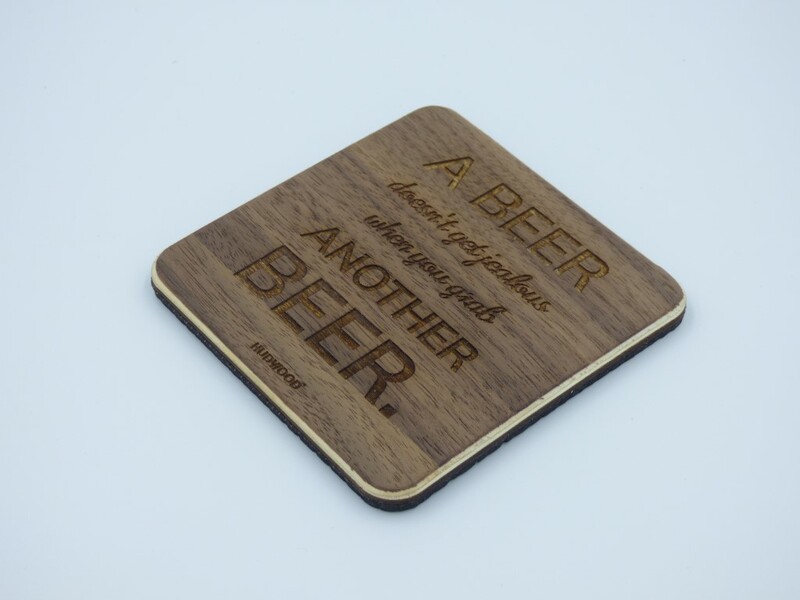 CUSTOM ENGRAVING is possible. Contact us for more informations.